DECEMBER 21, 2018, Marine Corps Base Quantico, VA – Marines are officially getting a new set of wheels. 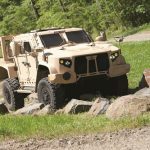 The Marine Corps will start fielding the Joint Light Tactical Vehicle (JLTV) to Marines, following a decision made Dec. 12 by the Program Executive Officer Land Systems. 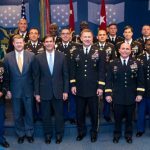 The JLTV, a program led by the Army, will partially replace the Army and Marine Corps’ aging High Mobility Multipurpose Wheeled Vehicle fleet. The JLTV Family of Vehicles comes in different variants with multiple mission package configurations, all providing protected, sustained, networked mobility that balances payload, performance and protection across the full range of military operations. 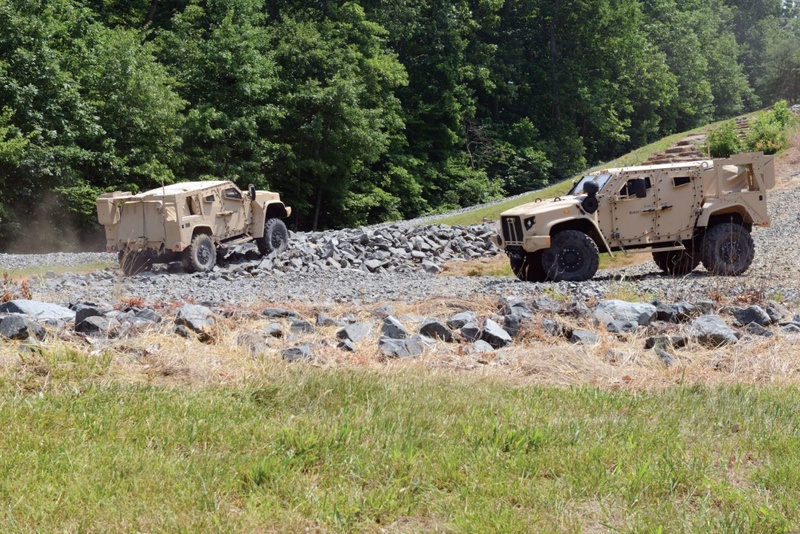 “It’s a modernization effort for the Light Ground Tactical Vehicle Portfolio to replace HMMWVs in a one-for-one swap with the JLTV,” said Andrew Rodgers, Light Tactical Vehicles program manager at PEO Land Systems. 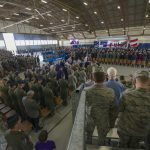 The HMMWV has gone through several modernization efforts since it was introduced to the Corps in 1984, said Rodgers. 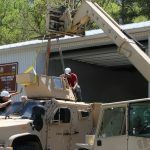 The Expanded Capability Variant, the most recent version of the HMMWV fielded to Marines from 2006 to 2012, increased protection but decreased the vehicle’s payload, or ability to carry extra weight. 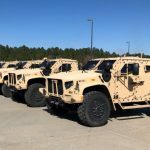 “The JLTV gives you the same performance and payload capabilities as the original unarmored HMMWV, but also gives you better protection than an armored HMMWV without losing payload or performance,” said Rodgers. 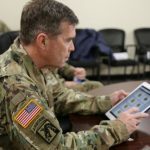 The JLTV is the first vehicle purpose-built for battlefield communications networks and provides increased readiness for 21st century warfare. 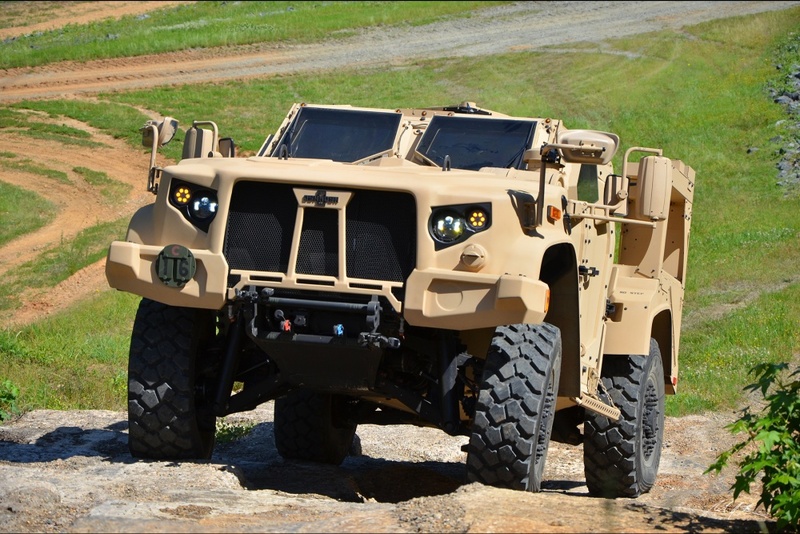 Morin also noted that the JLTV is—by design—easily modifiable, so Marines can incorporate added capabilities as needed in the future. 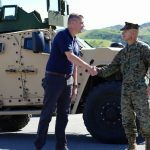 PEO Land Systems will begin fielding the JLTV to Marines at Camp Pendleton, California, in February, with initial operational capability planned for late summer 2019.